a big step towards becoming the thirtieth member of nato the government has signed accession papers and must now wait for them to be ratified by all members of the military alliance the move comes out of the resolution of a years long dispute with neighboring greece over macedonia as name in general the parliament in skokie has agreed to change its name to north macedonia. the european commission has blocked a plan to tie up between german engineering giants siemens and france's else dumb the companies were set to merge their rail businesses so they could take on big of foreign rivals but they you said it would hurt competition and drive a consumer prices. 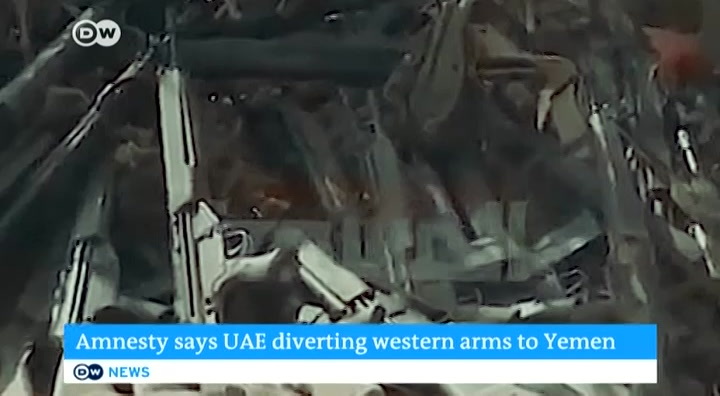 amnesty international has accused the united arab emirates of providing western arms to yemeni militias in a report the human rights group says iraqi forces received billions of dollars worth of bombs from countries like australia germany and three us and siphoned them to move. in demon that have been committing war crimes. legislate or investigate greatness or gridlock my way or crumbling highways those were the black and white choices u.s. president presented last night to congress in his state of the union address but it wasn't what trump said but rather what he sold it stole the show in front of the president a record number of female lawmakers staring back standing sitting shoulder to shoulder and behind the president the most powerful woman in congress always looking over the president shoulder golf in berlin this is the day. this state of our union is strong. one has benefited more from a thriving economy than women who have filled fifty eight percent of the.